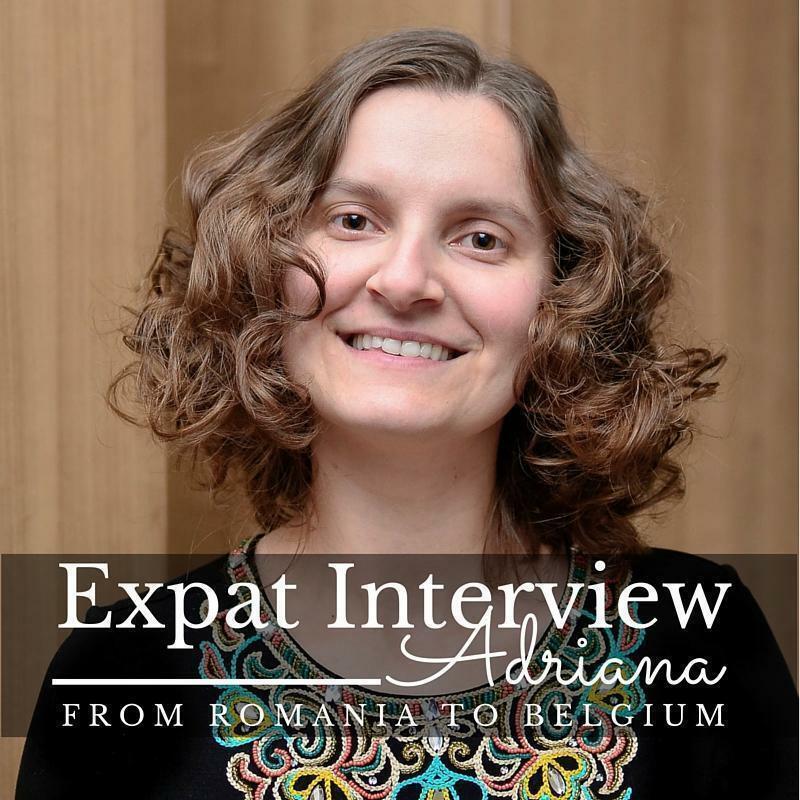 Today we introduce the newest member of the CheeseWeb team and let her share her expat story and advice for living in Belgium. A few months ago, we realized CheeseWeb had grown to a point where we were having difficulty managing it all on our own. We needed help to keep our community running smoothly, while we were on the road. Where better to find that help than from one of the strongest members of that same community? So, I called on one of our most loyal supporters and asked if she’s like to become part of the CheeseWeb team. While she’s been busily learning the ropes over the past weeks, I thought it was time to formally introduce you to our newest CheeseWeb team member: Our Social Media Diva, Adriana. If you’ve spent any time in the CheeseWeb community, you’ve probably noticed Adriana’s insightful comments on Facebook and her interesting guest posts illustrated by her gorgeous photos. Lately, she has taken over the @CheeseWeb_eu Twitter account, Google+ Page, and is busily contributing to our Pinterest boards. Her additions to CheeseWeb’s Big Map of Castles have created a valuable resource for exploring Belgium. We wanted to give her the opportunity to share her expat story, so you can get to know her a bit better. So, take it away Adriana! I am from Timisoara, Romania. It’s in the west of the country, in Banat County. Where do you live in Belgium, how long have you lived there, and who do you live with? I live in Le Roeulx, in the Mons area. I’ve been living here for almost 3 years with my husband and two children. Tell us your expat story. How did you become an expat? I became an expat due to my husband. I met him online, 11 years ago, and left my country to be with him, thus embarking on a great adventure. He was in the US Navy at the time, stationed in Italy, so that became the first country I lived in as an expat. I was 21 years old and fearless; I basically packed my bags, at Christmas time in 2003, and left. What’s the best thing about expat life? This is an answer that all expats and travelers will tell you; the best thing about being an expat is discovering new countries, new cultures, new food, meeting different people and understanding all this at a completely different level. Reading about a country and being there are completely different things. I love moving and constantly discovering new lands. What’s the worst thing about expat life? For me, if moving often is the best thing about being an expat, it’s also the worst. When you live years at a time in different countries, like we do, it’s sufficient time to fall in love with different places and people. Saying goodbye is very hard, no matter how exciting the new country we move to might be. What’s the best thing about living in Belgium? I absolutely love how this small country has so much to offer: Countless castles, incredible cities with jaw-dropping architecture, and more festivals than I can visit. If anyone is bored in Belgium, then it’s his or her own fault. I also love Belgian Abbeys. I visit them with every chance I get. What’s the worst thing about living in Belgium? I guess I never think about this, no matter where I live. I hear people complaining about traffic, rain etc. but I can honestly say that I don’t care about any of that. Living in different countries taught me these small inconveniences are exactly that – small. In the grand scale of things they just don’t matter. I guess I see myself as a permanent tourist and, when you are a tourist, you don’t care about traffic, weather, bureaucracy, you are just really happy to be there and constantly look for the best parts of the country you’re in. Describe your favorite place in Belgium. My favorite place is without a doubt the city of Ghent. I love it so much that many times we just drive there for the evening, to walk around. I love Ghent’s food scene and how it’s extremely relaxed. People just grab a bite to eat and rest on the riverbanks without a care. It’s the relaxed attitude that I love in Belgium and in Europe. Ghent is also the city that, in my opinion, has the best Christmas Markets. 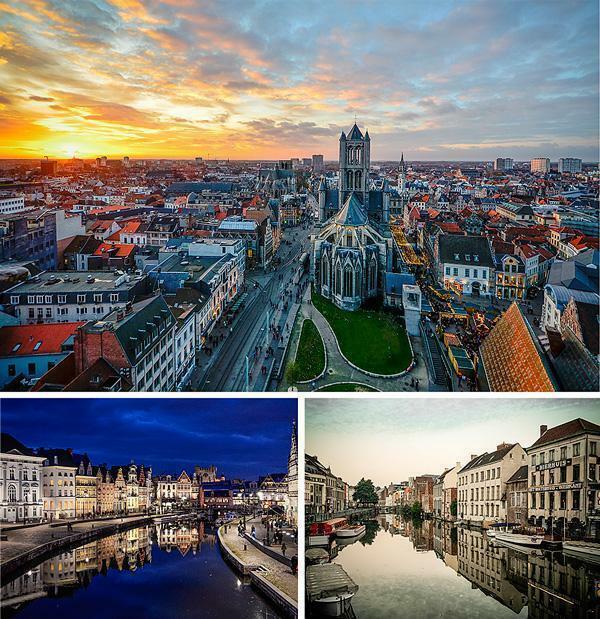 Adriana’s favourite place in Belgium is beautiful Ghent! The two-week tour to Iceland was by far the most amazing travel experience out of the twenty-six countries visited. It’s a place like no other and it’s hard to explain in words how I felt there. If I say amazing I feel like I am understating. 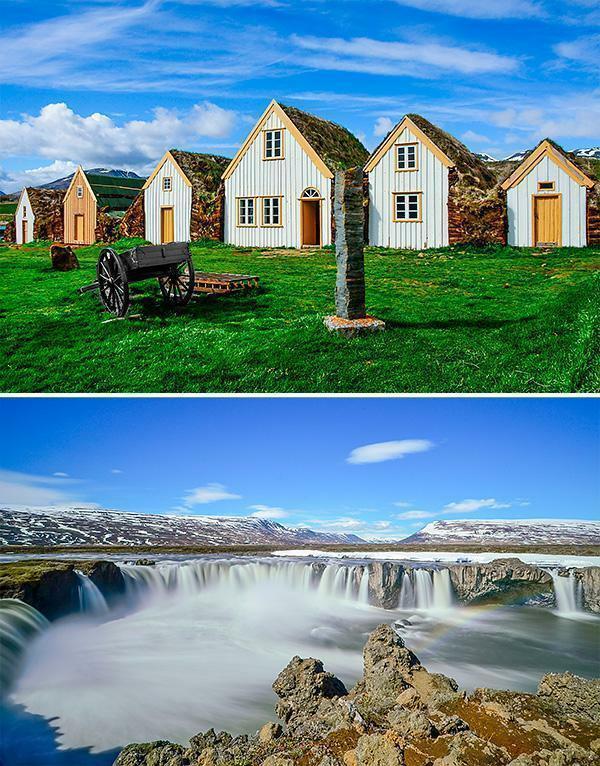 Adriana’s incredible adventure in Iceland. New Zealand is my biggest all time travel wish. I am a visual person and I love to visit countries that stimulate me visually, while looking at photos on the Internet. I spend a fair amount of time searching for places to see next and New Zealand is simply the best out of all of them. 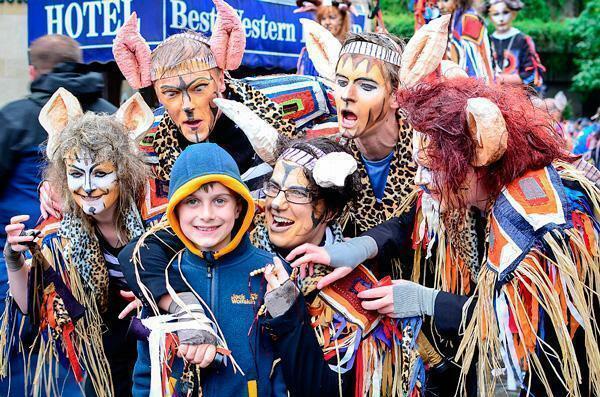 It’s rugged, wild, with a rich culture and I think the people are amazing. I follow a few dedicated forums and I will never forget this quote by one member who said “Work is something we do between weekends.” I love people who enjoy life rather than working themselves in the ground. Maybe this is why I also love Belgium, and Europe in general so much – besides work there is also a lot of living. What advice would you give new expats in Belgium? Enjoy it! Whatever inconveniences you have don’t let them consume you. Instead, learn to laugh at things. 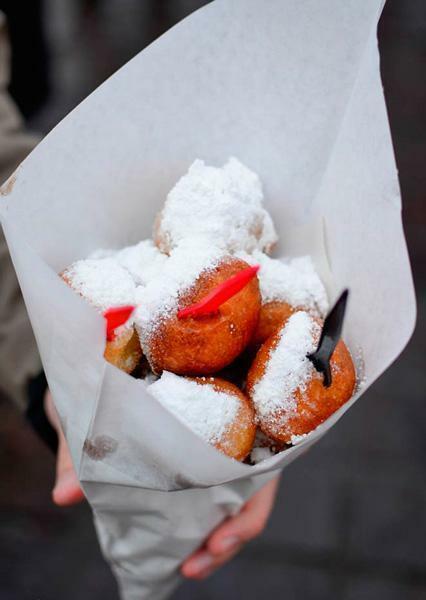 Learn to eat long dinners and savor each bite. About the bad weather, my favorite quote is from a friend in Germany who said, “there is no such thing as bad weather just bad clothes.” Try to learn the language(s) as the locals really appreciate the effort and that changes the dynamic between you and them. Friendships will be formed easier this way as well. Not really sure. Since my husband is a contractor, we never know where the next job will take us. It could be the United States, or it could be Asia. Personally, I am hoping for Asia. Whatever it is, it will be great, I am sure of it. Is there anything else you’d like to share with the CheeseWeb readers? No matter where you live, travel! Every two years or so, if not more often, leave your country; leave your comfort zone and go! It’s a sure way to better understand the country you live in and the world that surrounds you. Books and TV are great at telling stories but nothing compares to writing your own. Please join me in welcoming Adriana to our team and look out for her contributions around the (Cheese)web!